Through much of the history of Shacknews, anyone who considers themselves to be a part of this community at some point or another has been asked "Quake or UT?" There are many fans of Quake and many fans of Unreal Tournament who have frequented the Shacknews pages over the years. But what about those who have not discovered the magic of the latter's predecessor, the original Unreal? The same Unreal that first released 20 years ago today? 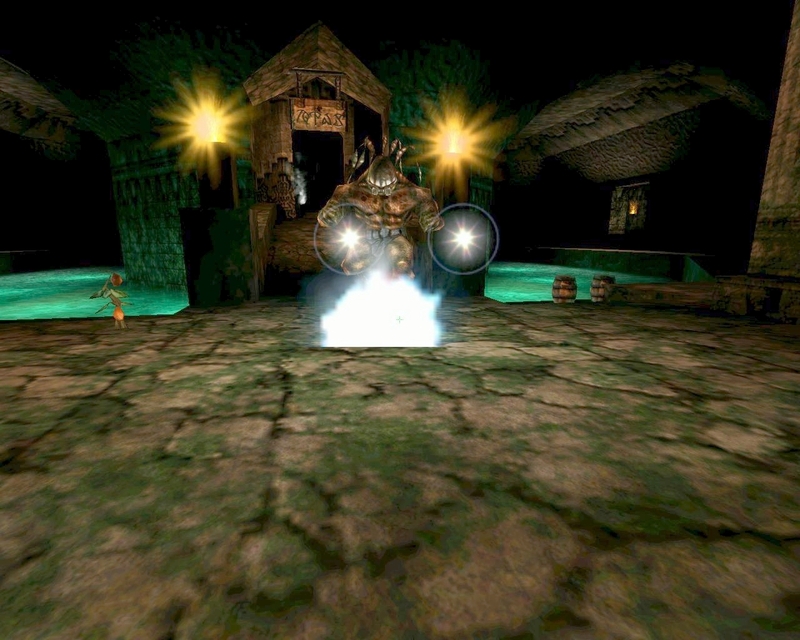 Unreal was first released in 1998 by the folks at Epic MegaGames (now simply Epic Games), serving as one of the first real outings for the original Unreal Engine and also as one of the earliest designer credits for a young Cliff Bleszinski. Now this pioneer in the first-person shooter genre is on GOG.com and going for absolutely free. In Unreal, players step onto an unknown and dangerous planet called Na Pali, where they must survive the hostile Skaarj and find a way off the planet. In addition to the numerous single-player missions, the Return to Na Pali expansion is also included. Unreal ranked #91 on the Shacknews Chatty Community's Top 100 PC Games of All-Time list. Looking to see what made this such a classic? Pick it up for free from GOG.com. This deal is set to last until Wednesday at 10AM PT. Update: The Steam version of Unreal Gold is also available for free. Visit Steam in the next 48 hours to claim your copy. Nice! First FPS that gave me goosebumps when I saw it using a 3D card. Also, the first FPS that made me feel alone and scared on an alien world. Such an amazing soundtrack and atmosphere. Lost tons of hours to bot MP on Deck 16 and Morpheus. Need a remake! Yes! Bouncing the grenades around corners into faces was so satisfying.